Heavy lifting projects call for extreme solutions, and among crane hire companies in Perth, Myaree Crane Hire Perth is a major player that you can trust to get the job done right. 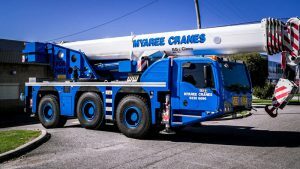 With experience spanning more than three decades and a fleet to accommodate your heavy lifting needs, whether your project is in construction, manufacturing, heavy industry, farming or any form of large-scale erection, hire a crane from a crane company in in Perth you can rely on, Myaree Crane Hire. With any heavy lifting project, the detailed planning and needs analysis we carry out ensures we waste no time and get your job done right, the first time around. Heavy lifting is complex, even if the project seems straightforward, and you can count on Myaree to nail the job first time round. 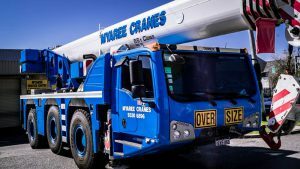 If you’re in any doubt about how slewing cranes can help you realize your project safely, on time, and on budget, here’s how Myaree, one of the best crane hire companies in Perth, can achieve this. The scope of construction seems to continually increase at the same time as loads get bigger, bulkier, and heavier. In this instance, dual lifting is an option. When using multiple cranes, a comprehensive rigging plan is key to ensure there’s no overloading. With capacity charts now based on 75% of each crane’s maximum load, there’s a nice safety margin built in. Sometimes, the state of the ground or the strength of the wind can still breach the crane capacity. We use different safety criteria with dual-lifting and analyze each project according to its specific needs. Our employees will be happy to talk with you about the measures we take to keep you, your construction, and our operators safe. 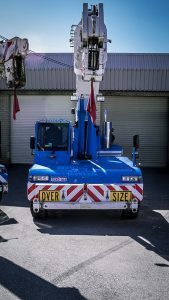 With over 30 years of experience in commercial, residential, industrial, commercial and marine crane hire, if you need something lifted, we’ve probably done it before and we’ll know exactly how to help out. Out continually expanding fleet currently includes 15T to 25T Franna cranes, Tadano City Cranes or commonly known as “Tom Thumbs” and a selection of slewing cranes with capacities from 12T to 55T. 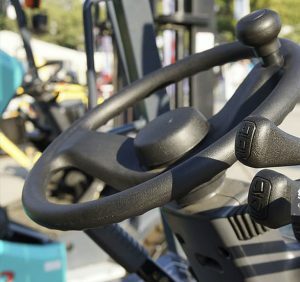 Whatever your lifting requirements, we’ve got you covered. If you want wet crane hire, you can rely on our operatives to get the job done quickly, easily and safely. All of our Crane Operator’s are licenced for high-risk work. We offer competitive crane hire rates for both wet crane hire. 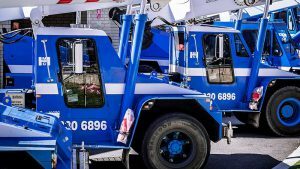 There are many crane hire companies Perth. However there are very few crane hire companies with thirty plus years of experience. 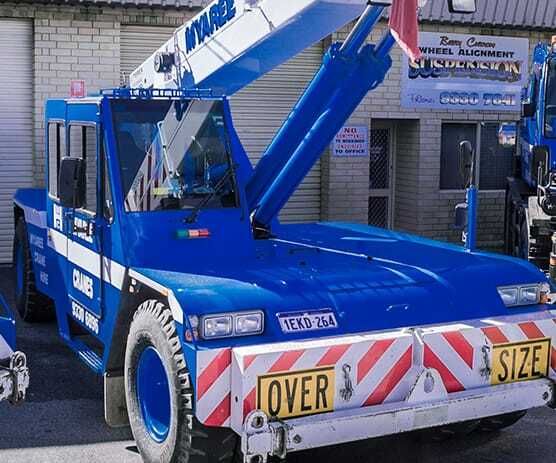 At Myaree Crane Hire, we combine the personal touch with all the weight of a successful and solvent company so you get the best of both worlds for very competitive crane hire rates. For a complete lifting needs analysis, call Myaree Crane Hire Now on 08 9330 6896.